How to Fix ‘Another Update in Process’ Error in WordPress? Are you trying to update your WordPress Website, but keep seeing the Another Update in Process error? In this post, we will discuss how to Fix Another Update in Process. Another Update in Process error stops you from updating the WordPress. Usually, it should automatically go away. But if it is not then here is an easy fix for this. Before we discuss the solution to this problem, let’s have a quick view of why it occurs. It is necessary to recognize the problem before you perform the solutions. Why ‘Another Update in Process’ Error Occurs? The reason why this error occurs is that the user is trying to initiate another update process concurrently when there is core WordPress running. Whenever there is core update, the WordPress automatically insert a lock option in your database. As a result, it prevents you from running updates on your website. There are two ways the error message disappears automatically. 1. The core WordPress update process has finished. 2. By default, the message is set to disappear in 15 minutes. In case if you do not want to wait or you stuck there, then you can reset it manually. 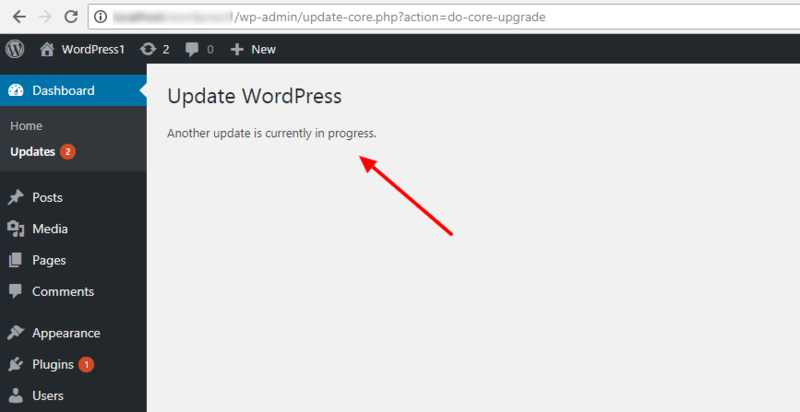 To get rid of this error quickly, you need to delete the option core_updater.lock from the WordPress database. You can use two methods to remove the option. You can choose which you find the best. Fixing Another Update in Process Error with the help of a Plugin. Manually Fixing Another Update in Process Error. The first step you have to follow is Install and activate the Fix Another Update in Progress plugin. Here are the steps for how to Install and activate a plugin. 1. Browse to your WordPress website wp-admin area. 2. Go to the Plugins Menu and click on Add New button displayed at the top left corner. 3. Search for the Fix Another Update in Progress plugin. 4. 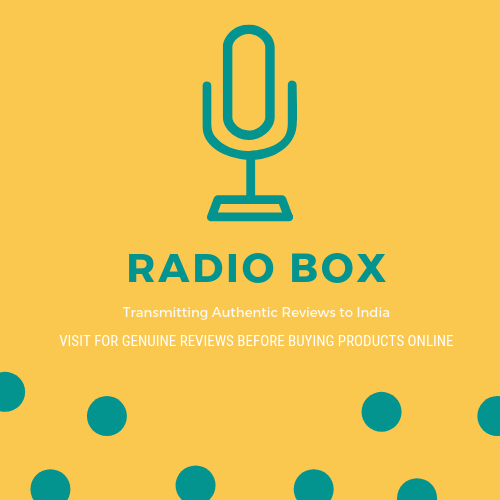 You will find the plugin in the search results. 5. Now, you have to install the plugin by clicking on the Install Now button. 6. After Installing, you will see an Activate button. Click on the button to activate the plugin. These are the steps you can follow to install the plugin. Now I think you come to know how to activate a Plugin. 7. After activation, you need to navigate the Settings menu of the plugin. Click on Fix Another Update In Progress Menu. If updates on your website are locked, then you will see a message like WordPress Update is locked. You need to fix it. 8. Below the message, you will find a button to fix the error. Just click on Fix WordPress Update Lock button to continue. The plugin will delete the WordPress Core Update Lock option from your database, and you will see a success message as shown below. Manual fixing of this Error requires you to directly run a query in your WordPress Database. In this method, you need to use the phpMyAdmin to run the query in your database. 1. Visit the cPanel dashboard of your website. 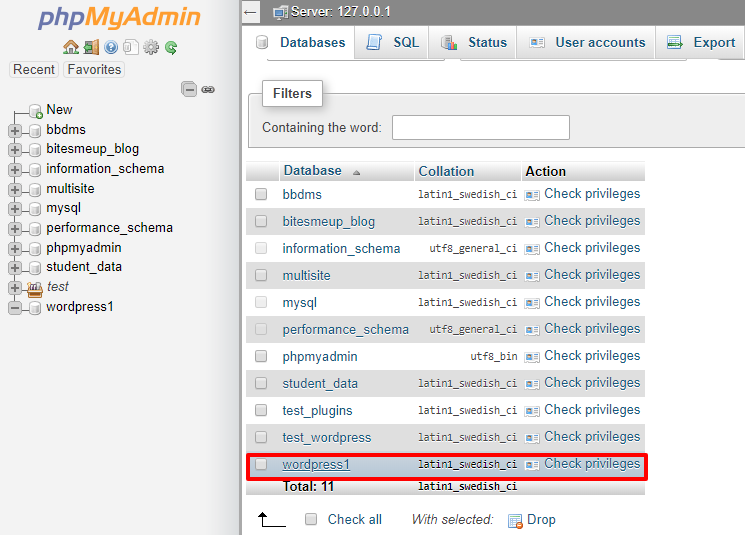 Under the Database section, you will find the phpMyAdmin icon. 2. Click on the phpMyAdmin icon. Now, you need to select your WordPress Database to continue. 3. After you select, you will see all the tables of your database. For now, forget all the tables except the wp-options table. You need to click on the wp-options table. 4. You will see all the rows inside the wp-options table. Now, find the row with the option name core_updater.lock and click on the delete button next to it. You can find a particular row inside the database by applying the search filter. PhpMyAdmin will now delete the row from your WordPress database. Now, you can switch back to your WordPress Website and continue with updating your WordPress website. It is sure that your problem has been fixed successfully. If you are not allowed to access the cPanel or database directory then, you can try some freely available Database Plugins on wordpress.org. Hope, this article helped you in fixing the error on your WordPress Website.